One of them is Egyptian-Canadian Mohamed Fahmy. Today my government said they were disappointed, but did not demand (or even ask for) his release. I am a journalist and I want to report on what happens, to help people see what is going on in places where they are not. I want to do this having the support of my government. 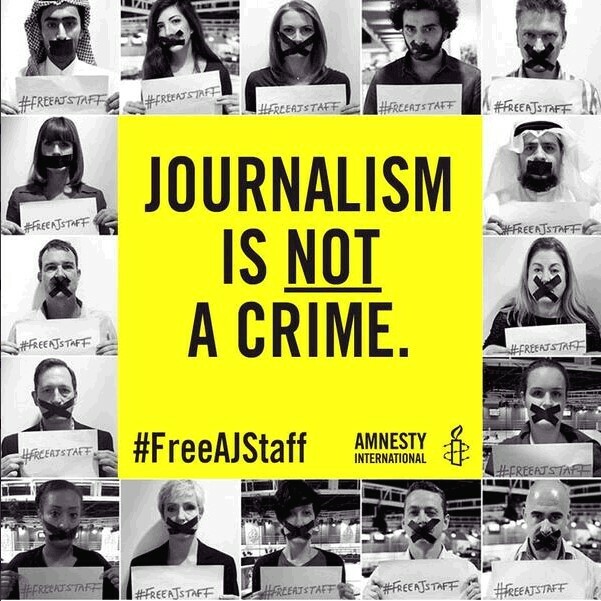 Today, we need to remember this: Journalism is not a crime.